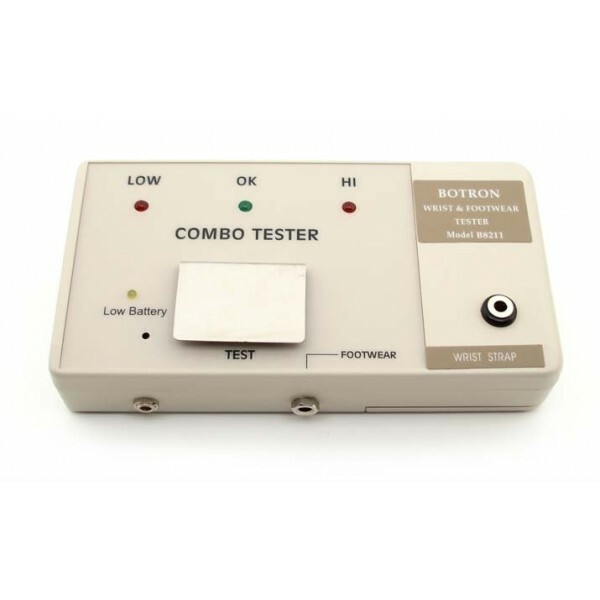 Botron’s B8211 is a wall mountable, high quality battery operated tester has a large touch plate for easy testing and easy to read LEDs that show low, high and pass. Audible alarm will sound when failing. A slide switch on top of the tester selects either 10megohm for wrist straps or 100megohm for footwear.